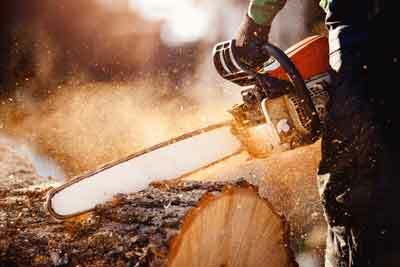 This unit of competency covers the maintenance, preparation and operation of hand-held chainsaws in a work environment. It requires the application of skills and knowledge to cross-cut fallen timber using appropriate cutting techniques to maximise volume and quality recovery. It also requires knowledge of licencing and OHS legislative requirements associated with chainsaw operation along with duty of care to self, others and the environment. The work in this standard is likely to be carried out under routine supervision with intermittent checking within enterprise guidelines. Participants will be required to successfully complete a series of assessment tasks which include a written exam, workbook, observation/practical demonstration and case studies. Participants who demonstrate competency by successfully completing this unit will receive a Statement of Attainment. Hard hat, chainsaw and all safety items will be supplied on the day.